For centuries, hemp oil has been used as a natural remedy for a multitude of ailments, especially in the Eastern culture. Regardless of its increasing popularity, hemp oil has faced prejudice on many levels due to its association with cannabis. Generally, people think that hash oil and hemp oil are the same things. The reason being, they are both derived from the cannabis flower. But that assumption is wrong. Because both are derived from scientifically different plants of the same family. Hemp oil is processed from a type of cannabis that does not contain THC (tetrahydrocannabinol) (1). While THC is present in the hash oil. THC is the psychoactive agent in the cannabis. You can buy hemp oil online or your local supermarket with ease. Because not only is it legal but also good for your health. But due to ignorance hemp oil is still cast in a dark light. Why is hemp oil good for your hair? 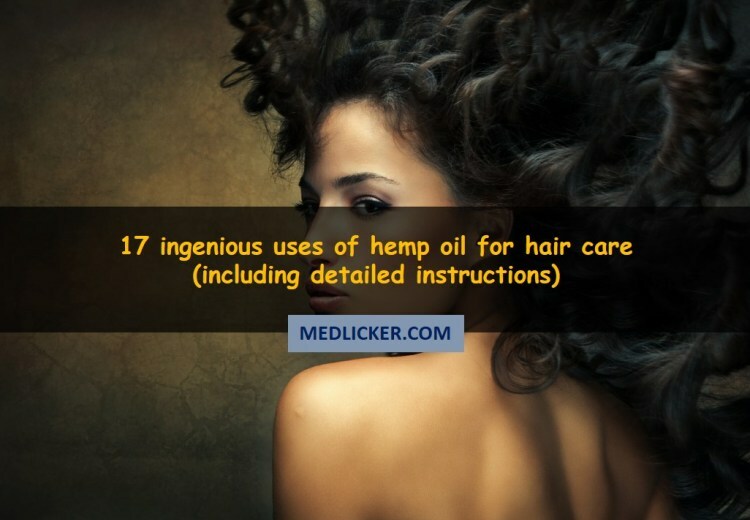 Promotes hair growth: Hemp oil contains fatty acids like omega 6 and omega 3. These fatty acids help stimulate hair growth. Hair is made up of keratin and keratin is made up of 90% proteins. The proteins in hemp oil help in the formation of keratin. Hemp oil also helps improve the blood circulation to the scalp. This helps nourish the hair follicles for better hair growth (2). Moisturizes the scalp: Dry hair is a serious nuisance, especially during the winter months. Dry hair leads to irritated scalp and hair breakage. Looking for something to put the life back in your dry lifeless hair? Look no further than hemp oil! Hemp oil helps prevent water loss from the scalp. Hemp oil imparts moisture into the hair and scalp. Hemp oil is easily absorbed by the scalp, so it helps deeply nourish it. Helps prevent hair breakage: Hair fall and hair breakage is a common problem. Hemp oil is the answer to your hair troubles. It aids nourish the scalp and hair as it helps impart moisture and shine to the hair. The proteins in hemp oil help strengthen the keratin layer. And strong keratin layer means less hair fall (3). Hemp oil helps provide shine and moisture to the scalp and hair. Hemp oil has beenin use for centuries for its cosmetic and medical benefits. Hemp oil helps reduce dandruff. And it also helps reduce the risk of scalp related infections (4). The first thing you need to do is prepare your hair for oiling. Gently comb through your hair to prevent tangles. Part your hair into two section from the middle. Now take a tablespoon of hemp oil and apply it to your scalp and roots. Using your fingertips massage the oil into your hair. This helps the hair absorb oil and also stimulates the scalp. Repeat the process with the other section of hair. Make sure to cover the entire back of the head. Now take oil in your hands and lightly run them through the length of your hair. Now leave the oil on your hair for at least half an hour. Although leaving it overnight is preferred. Don’t know what to do about thinning hair? Don’t know what to do with an overripe bananas? Easy kill two birds with one stone and make a banana hair mask. Bananas have potassium that helps strengthen you hair. Banana and help oil hair mask helps nourish the scalp and impart moisture (5). Vitamin A and C present in bananas help the hair gain a shiny and silky texture. The proteins in hemp oil help impart strength to hair and stimulate hair growth. Put hemp oil and the banana into the blender. Blend till its gets a smooth creamy consistency. Section your hair like you would do for dying. You can apply the mask with your hand or a brush. This depends on your preference. Apply the mask from root to tip and then over with shower cap. Leave this mask on for about 10 to 15 minutes and then rinse your hair. Hemp oil is packed full of vitamins, proteins and fatty acids like omega 6 and 9. These nutrients help boost your hair health. The antioxidants in hemp oil help prevent sings of aging. Hemp oil helps moisturize the skin and hair. It also helps decrease dryness, skin irritation and itching (6). Hemp oil can be incorporated into your diet in a number of ways. You can use hemp oil to make salad dressings. Hemp oil can also be used as a frying medium or for cooking. You can even just drink a tablespoon of hemp oil. These days, due heat to styling and use of chemical products, many suffer hair problems. Avocado is super good for dry hair because it is chock full of vitamin E, B6, iron and proteins. These nutrients help moisturize hair and impart shine (7). 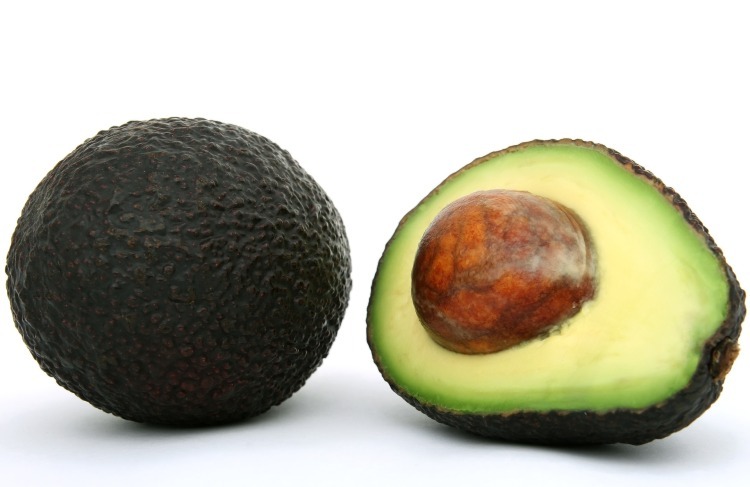 The vitamin B and vitamin E in avocado work on a cellular level to promote hair growth. Hemp oil helps better absorption of nutrients in to the scalp. This hair mask helps prevent dandruff and revitalize your hair. Mash the avocado and mix in few tbsp. of hemp oil. You can also add yogurt to this mixture if you like. Part your hair in two sections. Brush you hair to remove any tangles. Apply this mixture to your hair and leave it on for 30 minutes. Then rinse your hair thoroughly. Looking for natural remedies for dry and damaged hair? Look no further than hemp oil and honey hair mask. Honey is a natural humectant. Humectant means that it helps retain moisture. Honey also contains plentiful antioxidants and nutrients that help hair follicle grow (8). This hemp oil and honey mask helps restore luster and silkiness to your hair. This mask is made from natural indigents so there are no negative effects on skin. But using honey mask incorrectly or not rising it properly can lead to a sticky mess. Four tablespoons of hemp oil. Take a bowl and thoroughly mix honey and hemp oil together. Detangle your hair before applying this mask. Also make sure to remove any hair product you might have on. Apply this mask from the roots to the tips of your hair. Cover your hair with a shower cap. Allow the mask to sit for about 15 to 20 minutes. Thoroughly rinse your hair. You don’t want remnants of honey in your hair. Because it would lead to sticky tangled hair. Coconut oil is rich in medium chain fatty acid (MCFA). This helps coconut oil penetrate into hair more deeply and faster. Coconut oil helps condition hair. Nowadays heat styling and environmental pollution has caused many hair problems. This mixture of coconut oil and hemp oil helps rejuvenate your hair (9). Massage this oil mixture onto your scalp. Massage in circular motion for a few minutes to get the scalp blood supply stimulated. This oil combo is great for detangling hair and clearing up dandruff. Mix hemp oil and coconut oil in a bowl. Comb your hair before oiling. Apply a generous amount of this mixture to your scalp. Massage the oils in your hair using your fingertips. Leave the oils on overnight. Rinse your hair in the morning. Hemp oil acts as a great base for all natural hair colors. Hemp oil helps the dye penetrate more deeply into the hair. Using hemp oil as dye base makes the color last longer and more vibrant. Using hemp oil with your hair dye helps nourish hair and prevent dryness. Take hemp oil in a bowl and mix in the herbal hair color. Detangle you hair and part it into small sections. Apply this mixture to your hair and let it set for an hour or so. Shampoo your hair with lukewarm water. Cover your hair in a small towel or shower cap and let the color set overnight. Essential oils are an antiquity. Essential oils are extracted and distilled from various parts of plants and shrubs. These oils are more concentrated and potent. Just a little of these wondrous essential oils can work magic on your scalp. The moisture of hemp oil with essential oil help strengthen hair and give it volume. Using this mixture regularly helps impart shiny and silky texture to your hair. Take a small bowl and add 3 tablespoons of hemp oil and 2 tablespoons of any essential oil, like almond oil. Now comb and detangle your hair. Apply the oil mixture into your hair and scalp. Massage your hair gently. It is ideal if you keep it on for 30-60 minutes. But the longer you give to this mixture, it better it will seep into your hair and scalp. Now wash off your hair and dry them. Hemp oil is great for preventing hair fall and fighting dandruff. Hemp oil hair serum or spray is a great little trick to have in your bag. You can use this spray to detangle you hair. It can also be used to tame those few stubborn strands that just won’t stay in place. Mix rose water and hemp oil in a small spray bottle. You can keep it on your dressing table or in your bag. Use a few sprits of this spray on your hair after washing. Make detangling hair easy be spraying this on your wet hair. This spray can also be used to tame flyway hair. Using a mixture of extra virgin olive, almond oil and hemp oil is guaranteed to solve all you hair problems. Extra virgin olive oil is rich in omega 3 fatty acid that helps nourish your hair. Almond oil is rich in vitamin E that helps prevent split ends and breakage of hair. Hemp oil proteins help strengthen your hair. All these are amazing for pampering your hair. Now put these oils together and you get the added benefit of all three oils. In a bowl mix all three oils. Comb and part your hair into two sections. Massage this concoction thoroughly on your scalp. Massage in circular motion for about 5 minutes. This helps stimulate the blood circulation in the scalp. Leave the oils of your hair overnight. Hemp oil and yogurt hair mask is way better than any store bought conditioner. The nutrients in this mask help stimulate hair growth and prevent hair loss. The yogurt helps moisturize the scalp. This mask helps you achieve your goal of luscious and voluminous hair. You’ll see the best results if your hair is somewhat dry. So wash your hair and dry them enough to have a little of moisture. Now mix in the yogurt with hemp oil in a bowl. With the help of a brush, apply this mixture on your scalp and hair. This will stink a bit but keep it on for 30-50 minutes. After that wash it off and shampoo your hair. Eggs are rich in vitamin A, B and E. These vitamins help nourish hair and make it grow faster. Eggs also contains certain bacteria eating enzyme that help fight off any infections on the scalp. The proteins from hemp oil and egg help strengthen hair. So this is a protein rich mask. Like yogurt, this works best on somewhat wet hair. Wash your hair and dry them, enough to hold this mixture. Now break one egg into a bowl. Add 4 tablespoons of hemp oil in it. Whisk this mixture till froth comes on the top. Now apply this mixture on your hair and scalp. Keep this on for 30-50 minutes and wash your hair afterwards. Hemp oil and green tea hair mask is mostly used for giving your hair a few natural highlights. This is due to the natural bleaching properties of tea. Using this mask helps impart shine to your hair. Hemp oil and green tea mask help reduce dryness of scalp and hair fall (10). In a blow mix brewed green tea, hemp oil and mustard powder. The consistency of the mixture should be paste like. If need be add more mustard powder. Before applying this mixture detangle you hair. Apply this mixture on your hair for about 15 to 20 minutes. Mixture of hemp oil and green tea can also be used to rinse your hair. Strawberries are one of the most beloved fruit around the world. Strawberries not only taste good but they also make you look good. Strawberries are rich in magnesium that helps prevent fungal infection. Hemp oil and strawberry hair mask helps control hair fall. This mask if used regularly is great for fighting dandruff and dryness of scalp. The proteins in hemp oil help strengthening and growth of hair. In a blender mix strawberries, milk and hemp oil. Blend till it gets a smooth consistency. Make sure to cover your hair from tip to root. Massage this into your scalp to stimulate the blood flow. Let this mask sit for about 40 to 60 minutes. Lemon juice is rich in vitamin C that helps the growth and strengthening or hair. The acidic nature of lemon juice helps remove bacteria, dead cells and duct deposits from the scalp. Using a hemp oil and lemon juice mask is great way to pamper your hair. Using this mask twice or thrice a month leads to long, lush, strong and voluminous hair. This mask is also great for fighting of scalp fungal infections. Take a fresh lemon and squeeze out the juice. Mix lemon juice with hemp oil and almond oil. Massage this mixture into your scalp for about 5 minutes. Now apply this mixture along the length of your hair. Make sure to cover the back of the head. Let this mask sit for 15 to 30 minutes. Now rinse this mask off with cold water and shampoo. Hemp oil helps moisturize the scalp. Hemp oil also promotes hair growth. Aloe vera has been used for centuries for its beauty benefits. Aloe vera contains numerous nutrients that help reduce hair fall and dandruff. Aloe vera and hemp oil hair mask is used for deep conditioning of scalp. This mask also helps fight dandruff and reduces itchiness (11). You can add apple cider vinegar to this mask. Apple cider vinegar helps maintain the natural pH of hair and thus keeps them strong. Mix together aloe vera gel, apple cider vinegar and hemp oil in a bowl. Comb your hair and divide it in to sections. Massage this mixture thoroughly into your roots. Gather all your hair at the top of your head. Cover your head with a shower cap and let this mask sit for 15 to 25 minutes. Papaya dubbed “The Fruit of the Angels” by Christopher Columbus. Papayas are rich in vitamin A, vitamin E, antioxidants and folic acid. The nutrients like folic acid help promote hair growth. The antioxidants help prevent hair loss and breakage. Hemp oil and papaya mask helps clear up dandruff and dryness. Applying this mask twice a month gives your hair a shiny lush look. This mask also helps fight slit ends and thinning hair (12). Mash papaya and mix in hemp oil. Gently massage this mixture into your roots in circular motion. Massage the scalp for about 5 minutes to simulate blood flow. Now take some of the mixture in your hand and apply it along the length of your hair. Let this mask sit for 30 minutes. Reports of allergic reaction to hemp oil are far and few between. There have been a few reported cases of mucosal irritation and skin reaction due to use of hemp oil. When you use hemp oil for the first time it is advised that you should do an allergic test before using it. Because let’s face it who wants to risk a terrible rash especially of the face. Hemp seeds have no THC (psychoactive agent). Yet hemp oil has a small quantity of THC due to the manufacturing process. So if you are a recovering addict you should try to avoid the ingestion of hemp oil. Looking for general information about benefits, amino acid profile and side effects of hemp protein? Check out this post. See numbered references within the post. What Is The Best Hair Transplant Procedure? Is Mineral Oil Bad for Skin and Hair? Shea Butter for Hair Growth - Yes Or No?